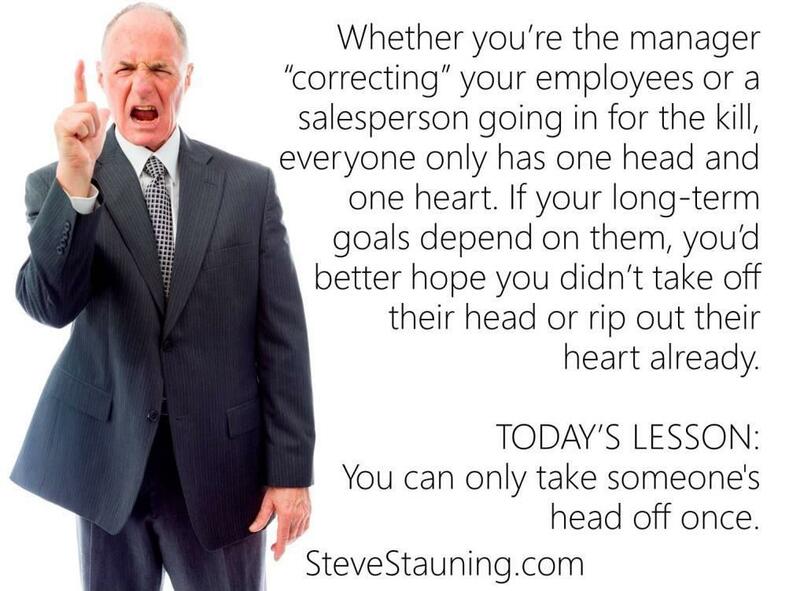 Whether you’re the manager “correcting” your employees or a salesperson going in for the kill, everyone only has one head and one heart. If your long-term goals depend on them, you’d better hope you didn’t take off their head or rip out their heart already. You can only take someone’s head off once.